Using colors to adjust body vibrations is a common practice in some places around the world. Each color possesses frequencies of a specific vibration, and each vibration is related to different physical symptoms; it’s a science, and it’s called chromotherapy. 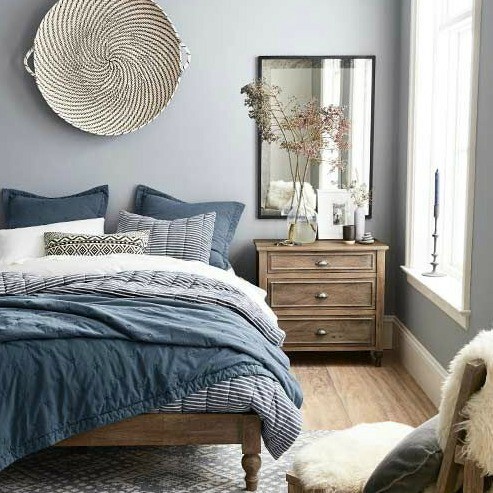 Whether you’re painting the walls of your bedroom, redecorating your home, or are just interested in balancing your energy, you can use chromotherapy and the power of colors to your advantage. Here are our Top 5 Colors to balance the energy of the different areas in your house. 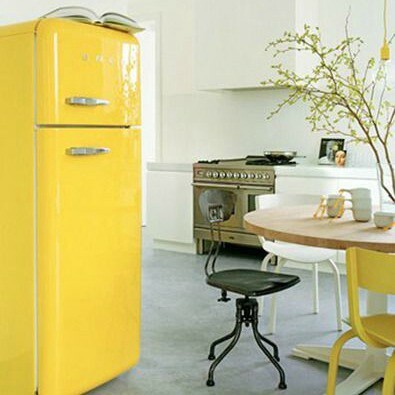 Yellow, the brightest color in chromotherapy, is used to purify the skin, clear indigestion, and assist the metabolism. For these reasons, it’s an excellent color to have in your Kitchen Area. Yellow is also the color of happiness, laughter and optimism. If you start the day in the kitchen, it will also give you an extra boost in your daily activities. Red is used to stimulate the nervous system. It raises blood pressure and motivates us to be present and fully awake, so it’s the ideal color to create conversation. 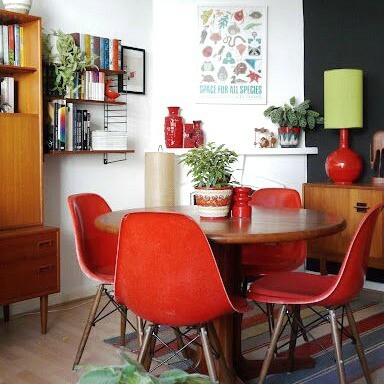 Using red in your dinning room will make this area a a very social environment. Friends and family will love to gather around to share moments and stories. Explore the different tones red has to offer. If you’re not into red walls try accessorizing with a table cloth or new cups. Flowers are also a great ideato incorporate this color into your home. 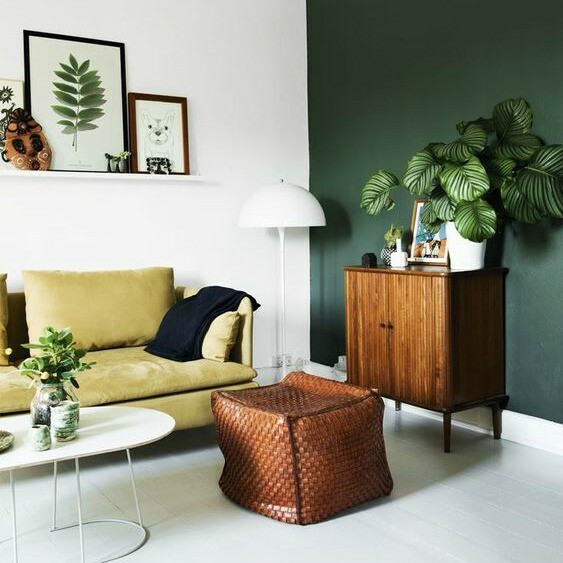 Incorporate this color with nice cushions, paintings or live plants to balance the overall energy of your nest. If you have a home office I highly recommend you play around with color. Purple can help you bring out your full potential because it stimulates concentration, creativity, and wealth. 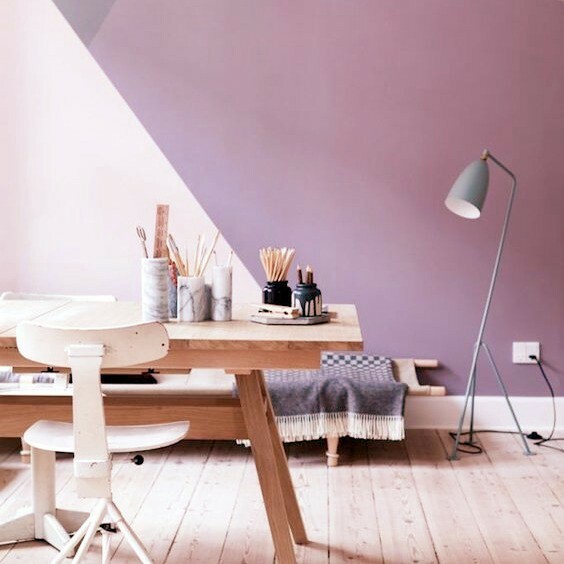 You can go all the way and paint your walls purple or if you like a more sober environment, try placing accent pieces like throws, paintings, or desk decorations. Just like serene lakes and rolling oceans have a calming effect, blue is used to soothe your mind, body and spirit. Blue is the perfect color for your bedroom because it also lowers blood pressure and stimulates relaxation. You’ll find it easier to fall asleep and dream peacefully with blue throws, pillows, or bed covers. If you’d like to explore colorful decorations for your spaces, checkout our store. Everything is handmade and created with love.